I have been a faithful A’s fan for about five years now, and I have to thank my brother-in-law for having the patience to teach me about the game, and my sister for allowing me to be their third wheel for countless games. I am so much into the game that I am watching it now as the team hustles their way to the play-offs – Coco was DA MAN tonight, and the magic number is now 4. I don’t claim to know a lot about baseball because I am far from being an expert, but what I do know is that I am a passionate fan. And, I see that passion in my friends who are A’s fans like myself; I see it in my social media sphere, and I most certainly see it in the loyal fans who attend games throughout the season like I do (shout-out to the RF Bleachers crew, those guys are the true definition of loyalty.) A few days ago I read an article about Lew Wolff (one of the majority owners of the Athletics franchise), where he basically blamed the fans for the lack of attendance during the regular season. I was infuriated when I read that. How dare does he blame the fans? 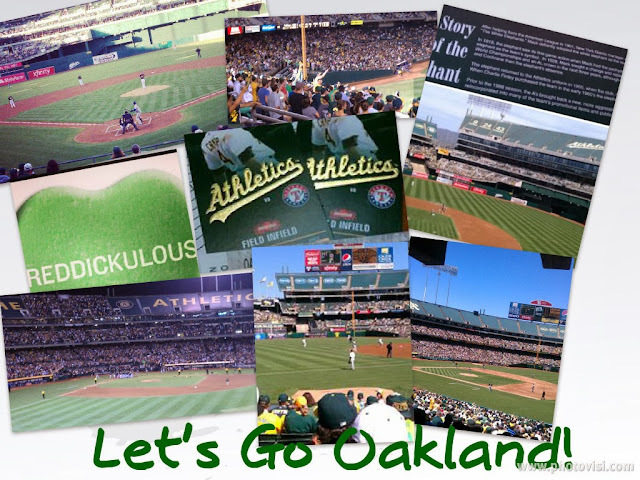 Here’s one thing that becomes palpable when you attend an Athletics game, those in attendance are loyal to the core, they wear their A’s pride on their sleeves – win or lose, weekday or weekend game, the fans are there. Sure, the team doesn’t have a fancy-wancy stadium, yeah we have sewage “problems”, and yes, the games don’t always sell-out… but you know what, those of us who attend games, are there for the love of the game, for the love of the team. What Mr. Wolff forgets is that while the fan base might be smaller in comparison to other MLB teams, we stick to the team no matter what, win or lose. And, he also forgets the itty bitty detail, that we are not rich. Some of us are not in the financial situation to become season ticket holders, most, no, all of us have this thing called a job and while we would love to be there for every home game, sometimes it is simply not possible. But, when we do attend games, we are there till the end, even if that means 19 innings, and quite possibly no way of getting back home because we rode BART, and by the time the game is over, the train system already shut down. Wolff doesn’t see the passion about those of us who do attend games, even if it is not every game. He is a business man, and as such, he only sees the lack of attendance in the franchise losing money. From a financial perspective, ok I get it. However, the logistics behind moving the team all the way to San Jose simply do not make sense. It is so convenient to catch a game at the coliseum, and the same would remain in Jack London. On the other hand, San Jose is simply too far – the true and loyal fan base don’t reside in the South Bay, we are in the East Bay, why can’t he get this to his head? How can he guarantee a sell-out to every game if the team moves to San Jose? He can’t, and that is the bottom line. As a fan, his comments were insulting! And I am pretty sure that I am not alone when I say this, they were simply disrespectful! Very much so to those of us who hustle after work to make it to a weeknight game, who have to wait till pay-day to allocate some funds towards some tickets. The fact that he has no respect towards those loyal fans puzzles me. I will continue to support to the team, and, as a matter of fact; I plan on going to one of the games this weekend. And, if it is not in my finances to get play-off tickets I will continue watching the games, whether at home, or at a bar. So, Mr. Wolff, next time that you happen to glance at the stands, have a little respect for those you see cheering on the team.